Made a Cash Offer. Can I Still Use a Loan? Question: I am buying a home after recently making a ”cash offer”. Now, I want to borrow the purchase funds. The Seller is now complaining. What are my rights? Answer: I will let you in on a little secret…there are two types of cash offers. Each one provides different levels of confidence. However, this is rarely understood by the parties. From Seller’s perspective: a cash offer confirms the buyer will not use a lender at all. This conveys the most confidence and is likely what the Seller assumed about your situation. From Buyer’s perspective: a cash offer, is simply not contingent upon the Buyer obtaining financing. The buyer may use his own cash or borrow the purchase funds from a lender. If this type of “cash” buyer fails to get a loan, he will lose his deposit – but still walks away from the deal. In your case, the Seller likely can’t terminate the deal, because of your loan. It isn’t a violation of your contract. However, give your Seller confidence in your ability to get a loan. Share your good credit score, or your mortgage commitment when it comes in. Remind the Seller that he will get your deposit if you fail to purchase. Hopefully, the deposit amount is sufficient to calm the Seller’s nerves. ​Question: My 19 year old disabled son may soon receive an modest inheritance from his uncle. How can you avoid my son becoming disqualified from his disability benefits. Answer: Massachusetts’ Educational Financing Authority (MEFA) offers a special investment program, called the ABLE program. ABLE accounts offer financial independence without the complexity of structuring a special needs trust. Fidelity manages these accounts, in which assets below $100,000 are not counted as a resource for for disabled individuals receiving to applying for SSI or Medicaid. Similar to an IRA or a 529 college planning account, earnings and withdrawals for qualified expenses are free from federal and state tax. ABLE account funds can be withdrawn for medical and education needs, job training, and housing expenses. It is important to keep good records, to prove any withdrawn funds were used for eligible expenses. Some requirements: only folks who were disabled before the age 26, may open an ABLE account. The maximum annual contribution is tied to the federal gift tax exclusion amount which is currently $15,000. Fidelity offers a convenient cash management account linked to an ABLE account. Tools such as checks, or an ATM debit account are available. Attorney James Haroutunian practices real estate law, estate planning and probate at 630 Boston Road, Billerica, MA. He gladly invites questions at james@hlawoffice.com or by phone at 978-671-0711. This column is published for entertainment purposes only and not to be relied on as legal advice in any manner. Actor, Alfonso Ribero, starred as “Carlton” in the 1990’s show “The Fresh Prince of Bel Air”. On the show, he popularized a nerdy, fun dance, commonly called “The Carlton”. You have probably seen the hip swaying, arm swinging, side stepping choreography at a wedding reception. Fortnite is an online video game, extremely popular with today’s youth. Kids enjoy a fun quirk in the game, where a player selects a dance for their character to perform. (Usually, after he or she kills another opponent). One of the available dances resembles “The Carlton”. Alfonso Ribero took issue with this similarity and sued the company behind Fortnite. The U.S. Copyright office dealt the actor a blow this week, in a letter detailing the limitations of Mr. Ribero’s claims. "The combination of these three dance steps is a simple routine that is not registrable as a choreographic work," said a representative of the Copyright Office. "Copyright law is clear that individual dance steps and simple dance routines are not protected by copyright, but rather are building blocks of free expression, which are in the public domain for choreographers, dancers, and the general public to use, perform, and enjoy." The video game company is using the letter to seek dismissal of this case, as well as others. A few entertainers have sued because their dance moves were copied in Fortnite. Being older, I don’t recognize these plaintiff’s names, other than the “Backpack Kid” who popularized the “Floss” dance. If you know this dance, you are probably reading this on an iPad. Attorney James Haroutunian practices real-estate law, estate planning and probate at 630 Boston Road, Billerica. He gladly invites questions at james@hlawoffice.com or by phone at 978-671-0711. This column is published for informational purposes only and not to be relied on as legal advice, in any manner. Question: Yesterday, we signed a contract with a remodeling company for a large addition to our home. Today, I heard some really negative stories about the contractor. I would like to get out of the contract. Is it too late? Answer: The three most important factors in real estate is “location, location, location”. This also applies when signing your home improvement contract. As is common, the contractor might’ve come to your house to present the paperwork. Maybe at your kitchen table you signed the documents. If so, you have three business days following execution, to cancel the contract in writing. Massachusetts law allows three business days for you to deliver a written notice of cancellation of your contract - if it is signed outside of the contractors office. You may have more time, if there are missing terms in the document. When important sections are left blank (quite common), the three day period does not ever begin. If you signed a complete contract in the contractors office, you may not unilaterally cancel your contract. Try speaking with the contractor to either resolve your fears or negotiate your way out of the deal. 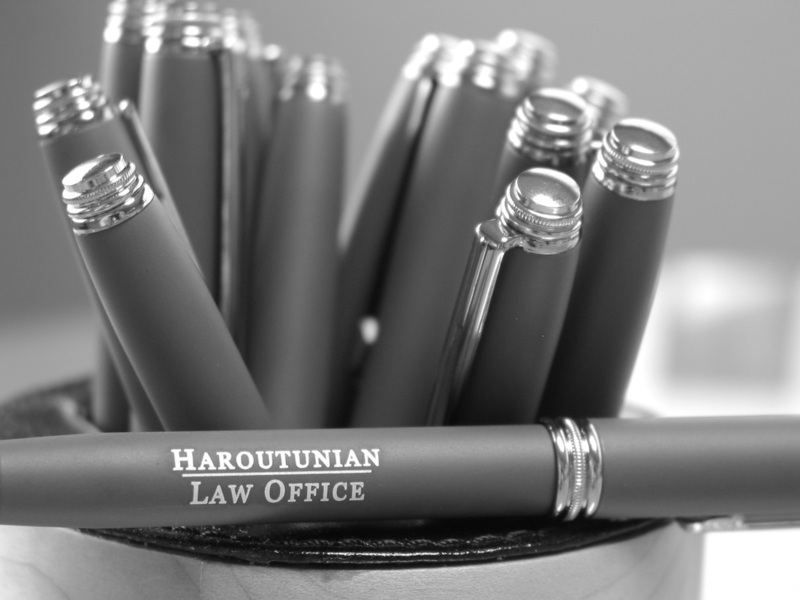 Attorney James Haroutunian practices estate planning and real estate law. Contact him with questions at the Haroutunian Law Office at 630 Boston Road, Billerica, 978-671-0711, www.hlawoffice.com or by email at james@hlawoffice.com. Trust is Like Beneficiary Page for Real Estate? ​Question: Why do some of my retired friends own their homes in revocable trusts? Answer: There are various reasons to own real estate in a revocable trust. The most common reason: to avoid probate. Let’s face it. We are all going to pass away, at some point. Without a trust, our children must start a lengthy, expensive and frustrating legal process to take over our assets. For certain financial assets (life insurance, investment or bank accounts), the probate process can be eliminated by completing a “beneficiary designation form”. They can save our children thousands of dollars, a year of delay and countless frustrations. Most folks were introduced to these forms, when they setup their 401k or IRA accounts. But what about real estate? This is why your friends use revocable trusts for their homes. At minimum, such a trust acts like a beneficiary designation form for your deed. A trust allows your children to take over ownership and control immediately upon your passing. No probate needed. If they desire, my kids can visit the realtor’s office on the way home from my funeral. Attorney James Haroutunian practices real estate law, estate planning and probate at 630 Boston Road, Billerica, MA. He gladly invites questions at james@hlawoffice.com or by phone at 978-671-0711. Question: I am buying a house. After the inspection, I negotiated a $7,000 credit. The realtor said we have to say the credit was toward my “closing costs”. My loan carries low closing costs, though. Now, the seller wants to reduce the amount of the credit. We made a deal for $7,000. Why should I take less? Answer: The language in your purchase and sale contract will be important in support of your dispute. Look out for two horrible words: “up to”. If your contract says the seller will pay “up to” $7,000, you may be out of luck. When negotiating a credit on a contract, realtors and lawyers often justify the credit by calling it a “closing cost credit”. Lenders don’t like normal credits. There is opportunity for pricing shenanigans, if credits are allowed without reason. Because most lenders allow a small percent of the sale price to pass as a “closing cost credit” the terms is often used. If your language contains “up to” as a qualifier, your seller is rooting for your closing costs to be low. They only formally agreed to pay the closing cost total. If the total is less than $7,000, the seller is usually off the hook. Also look at the contract for its definition of “closing costs”. Contract language often defines the credit to be used for “lender costs, escrows, prepaid items, and attorney fees”. When these items are included, you can usually soak up the full $7,000. I imagine your attorney will gladly charge whatever is necessary to use the extra credit money. Make the argument that your closing costs should include these items regardless of the language you used. Attorney James Haroutunian practices real estate law, including estate planning. Contact him at www.hlawoffice.com with questions or at the Haroutunian Law Office at 630 Boston Road, Billerica, 978-671-0711 or email at james@hlawoffice.com. A case from the state of Maryland establishes that a “co-owner of a joint account can be guilty of theft for stealing from that account”. Here are the quick facts: A father asked his daughter to help him with his finances. Rather than signing a Durable Power of Attorney, he added his daughter to his bank account as a joint owner. Later, the daughter withdrew money for her own use. The daughter was charged with theft, but argued she could not be charged with theft for withdrawing money from a joint account. Heck, both parties owned the account equally. The father testified that he added her to the account only so that she withdraw money for him. The daughter was found guilty and appealed. The Maryland Appeals Court agreed with the lower court. The court held the daughter could be guilty of theft for stealing from a joint account. The court stated, "titling an account as 'joint owners' presumptively creates an ownership interest in both parties, but that presumption can be rebutted by evidence of a contrary intent of the original owner of the account." Namely, the intent of the parties can overcome the rights given through joint ownership. Attorney James Haroutunian practices real-estate law, estate planning and probate at 630 Boston Road, Billerica. He gladly invites questions at james@hlawoffice.com or by phone at 978-671-0711. This column is published for informational purposes only and not to be relied on as legal advice, in any manner. Can My Lawyer Record Our Conversations? 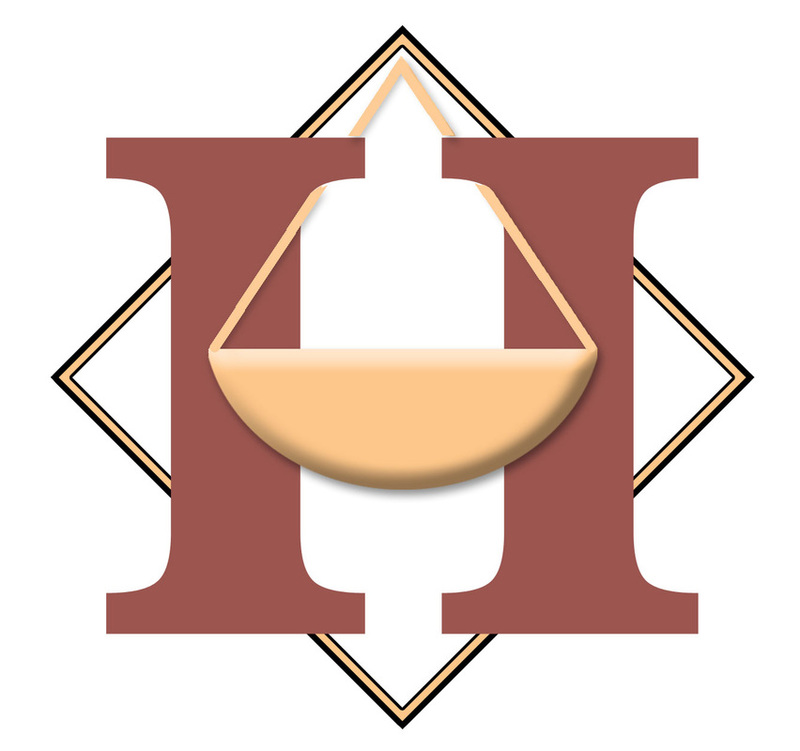 Question: Attorney Haroutunian, I have enjoyed working with you as my lawyer over the past few years. But, after the President’s latest episode, is it legal for you to record our conversations? Answer: First, know this: I have never, and will never, record a conversation with a client. I consider it an extreme betrayal of trust. Second, recording a conversation without the consent of all parties, is illegal in Massachusetts. General Laws Chapter 272, Section 99 imposes criminal fines up to $10,000.00 and/or imprisonment up to 5 years. Massachusetts has one of the toughest laws against secret recordings, in the country. In 2016, a Mount Holyoke college student recorded a professor’s lecture, without the professor’s knowledge. When the professor’s controversial opinions about the 2016 presidential election were released online – they went viral. Lost in the controversy, was the technically illegal act, performed by the student. The college later developed policies about classroom recordings. New York, on the other hand, does allow people to secretly record conversations. Lawyers, also, may benefit from differing opinions by bar associations in New York. A 2001 American Bar Association rule change allows for lawyers to secretly record conversations with non-clients, but must fess up, if asked about it. The association was not definitively for or against recording client conversations. Thus, ethical review comes on a case by case basis. Finally, let me repeat: I have never, and will never, record a conversation with a client. Now, if I can just get my kids to stop shaming me, by recording my singing at home. Question: With the new tax law, will have to pay capital gains tax when selling my residence? Answer: Fortunately, for next year’s home sellers, the tax deduction rules did not change in the new tax law. Though, you are justified for stressing. Of course, consult a CPA to get a full breakdown of how the tax bill affects you in 2018. Attorney James Haroutunian practices real-estate law, estate planning and probate at 630 Boston Road, Billerica. He gladly invites questions at james@hlawoffice.com or by phone at 978-671-0711. His website blog is found at www.hlawoffice.com. This column is published for informational purposes only and not to be relied on as legal advice, in any manner. Outlawing the celebration of Christmas sounds extreme, but it happened here in Massachusetts during the 1600’s. Puritans who immigrated to Massachusetts had several reason for disliking Christmas. It reminded them of the Church of England and the old-world customs, they were trying to escape. Christmas wasn’t considered a wholly religious day because December 25th wasn't widely recognized as Christ’s birth date until several centuries after his death. The holiday celebration mainly included drinking and feasting, things which the Puritans frowned upon. One such tradition, "wassailing" entailed people of a lower economic class visiting wealthy community members and begging, or demanding, food and drink. If a host refused, they faced the threat of retribution. As a result, the Massachusetts General Court banned the celebration of Christmas and other such holidays at the same time it banned gambling and other lawless behavior. The ban was revoked in 1681 by an English-appointed governor Sir Edmund Andros, who also revoked a Puritan ban against festivities on Saturday nights.